Peel the potatoes, and cut horizontally into two equal halves. Wash and keep aside. 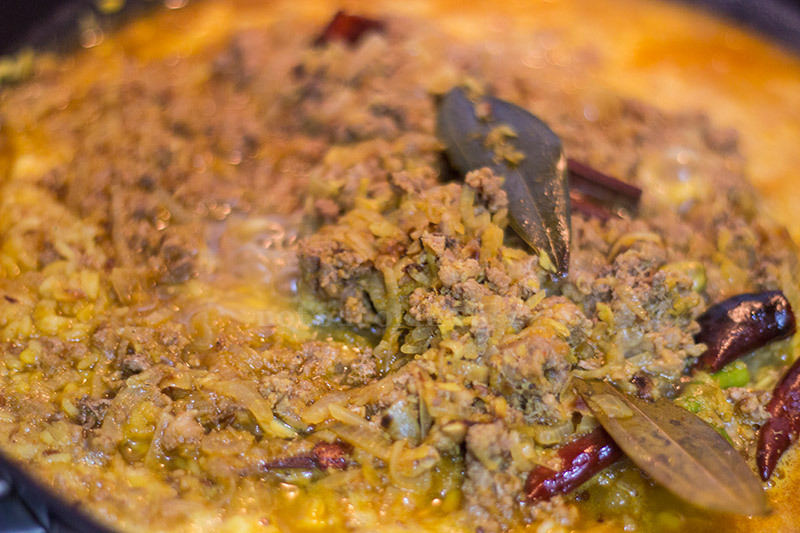 In a cooker, add mutton keema, black pepper powder, and 1/2 tsp salt. Adjust water to level the mutton. Close the cooker lid and take off the flame after 4 whistles. Open the lid after the pressure has reduced. Heat 4 tbsp oil in a deep frying pan/kadai. Now add the ingredients mentioned ‘for tempering’, sauté for a few seconds. Add sliced onions, fry on medium flame until light brown in colour. Next to add garlic paste, mix and sauté for a few seconds. 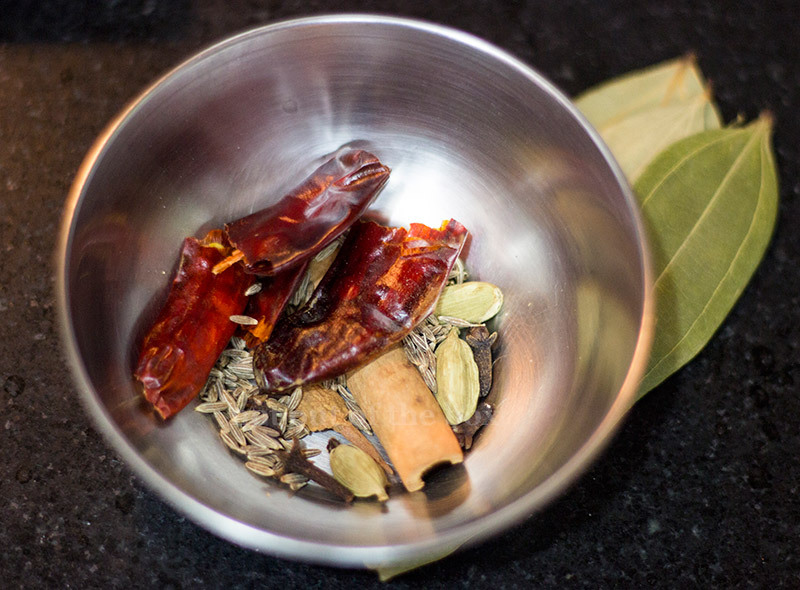 Add ginger paste, ½ tsp turmeric powder, cumin powder, coriander powder, red chilli powder, 3 green chillies, and salt. 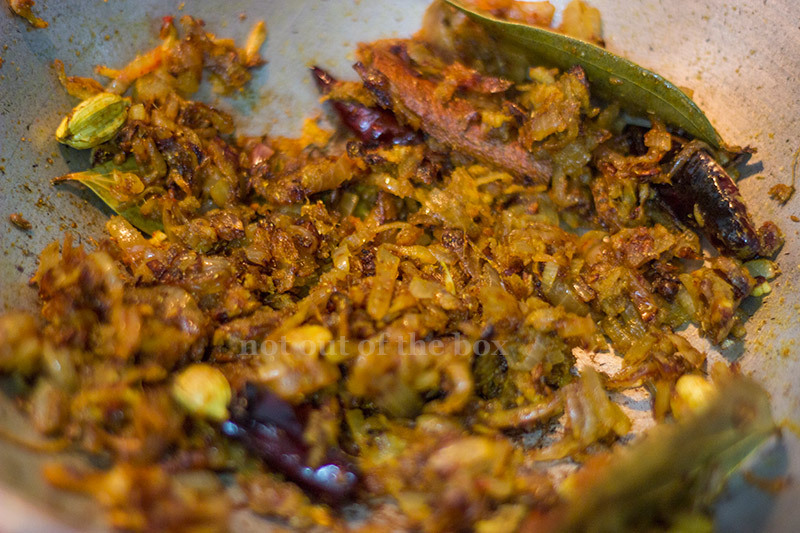 Mix and fry on medium heat until the masala starts leaving oil. 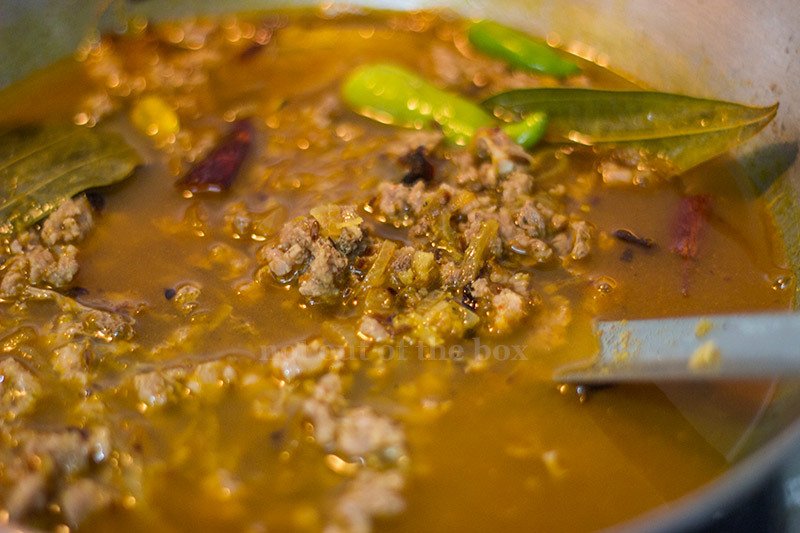 Add boiled keema along with the stock, mix well. Cover and let it be cooked on medium heat for 15-20 minutes or until the raw smell of masala goes. Remove from the heat and keep aside. 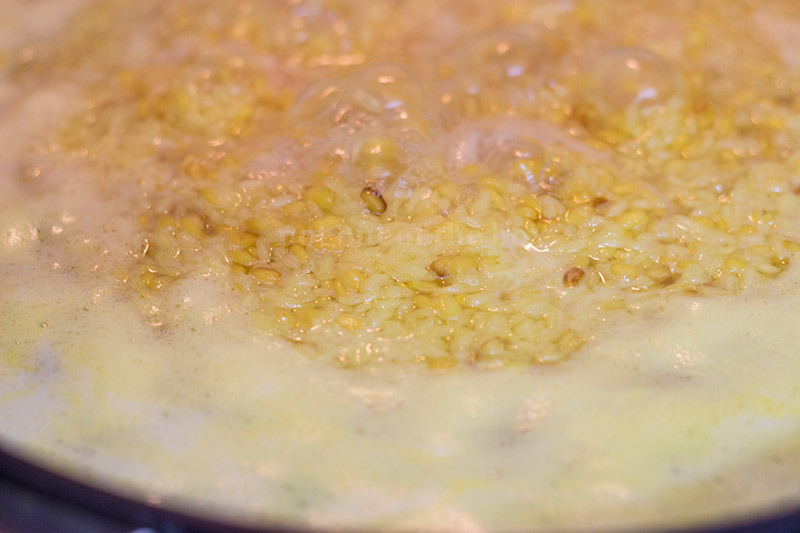 Take a pan, dry fry the moong dal on medium heat until lightly golden brown in color. Care should be taken not to burn the dal, stir continuously. Remove from the heat, wash and keep aside. In a deep bottomed pan, add the washed rice, dal, water, salt, ½ tsp turmeric powder, potatoes, 2 green chillies and 1tsp oil. 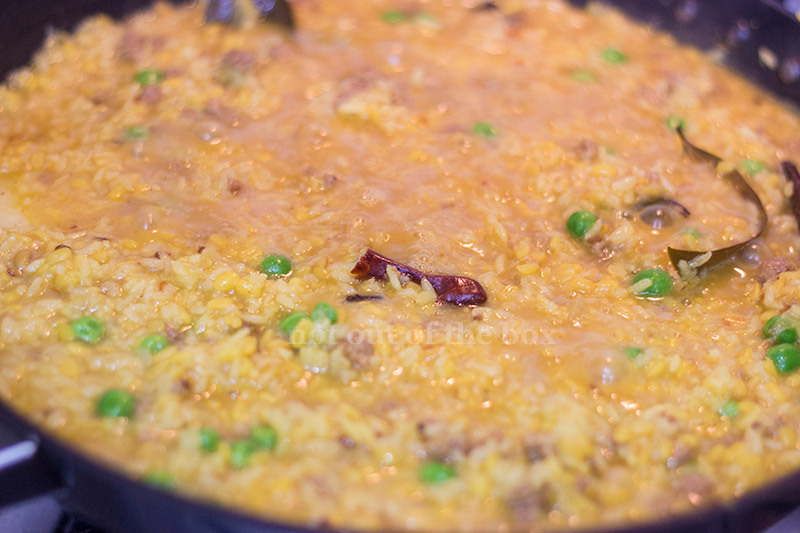 Let the rice and dal cook together on medium heat. When it is half cooked, add the mutton and peas into this. Check if the water is sufficient to boil the rice and dal. If required you can add more water, but don’t overdo with the water part because this khichuri is supposed to be medium dry not watery. Now check after 10-12 minutes, the grains of rice and dal should be firm but at the same time, it should get smashed when pressed. Check salt, adjust if needed. Add ghee, sugar and garam masala powder. Mix well and cook for 2-3 minutes more. Remove from the heat. Keep it covered after cooking to get the nice aroma when you are going to have this. 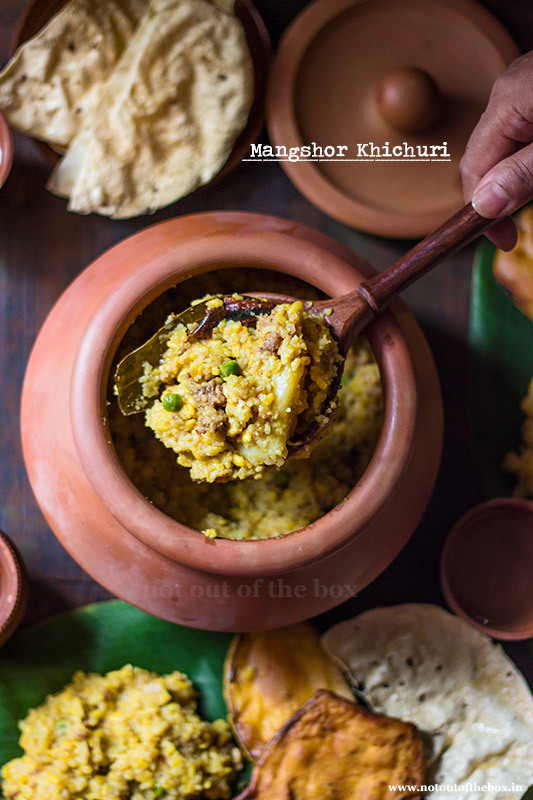 Serve hot Mangshor Khichuri with Beguni, papad, omelette, crisp fried potatoes whatever you like. If Gobindobhog rice is not available, then basmati rice can be used for this. But Gobindobhog rice is highly recommended for Mangshor Khichuri. 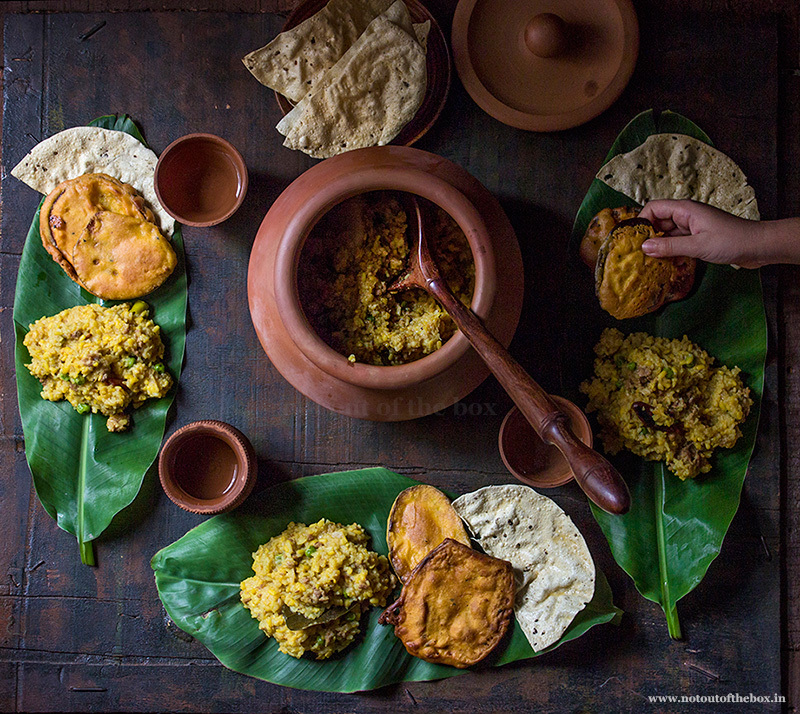 Mangshor Khichuri is a Bengali style garam masala spiced khichdi cooked in a traditional way with mutton chunks or keema. It's a delectable one-pot meal.